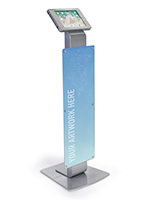 With a locking enclosure and durable aluminum build, this branded iPad Pro stand is a great addition to a public exhibition or busy lobby. 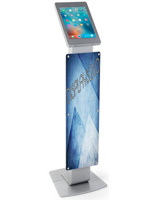 As part of the exclusive Navigator Plus series, the tablet holder kiosk includes a metal sign panel complete with an acrylic overlay and custom artwork on photo inkjet paper. 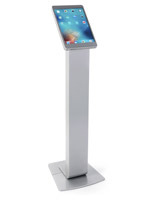 At 12.5"w x 36.5"h, the poster on this silver iPad Pro stand will attract attention using traditional advertising. 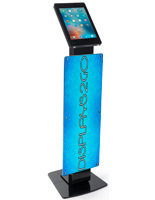 Each tablet holder lifts open to easily yet securely insert the device. 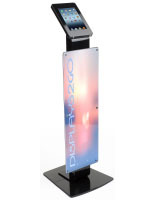 A covered home button on the cover offers additional security from tampering. 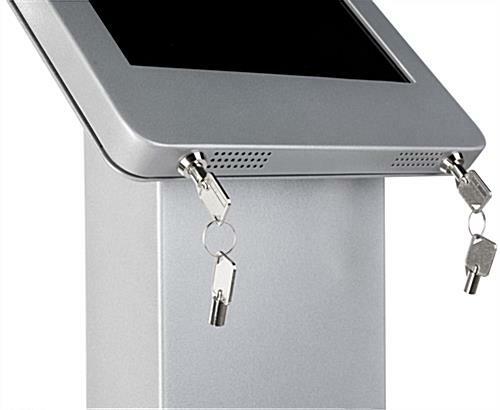 As well, the back compartment locks to secure stored wires that run through the kiosk and plug into the built-in power strip. 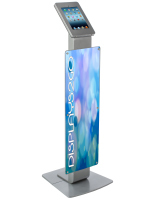 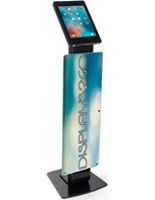 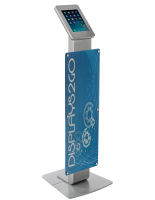 This iPad Pro stand blends the best of both traditional and digital signage to create an interactive display tool. 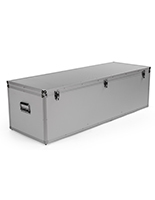 17.4" x 0.5" x 17.5"
9.8" x 14.5" x 0.875"